Discovering the Pescadero Flowery was my favorite moment of our road trip. 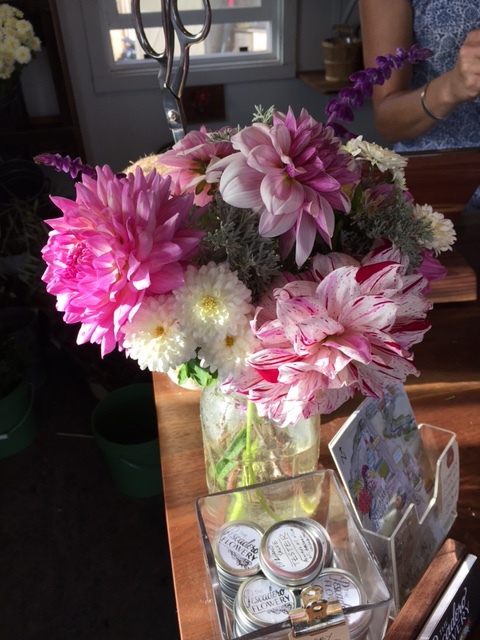 We were headed to the country store when we saw this sign: Pick Your Own Dahlias. 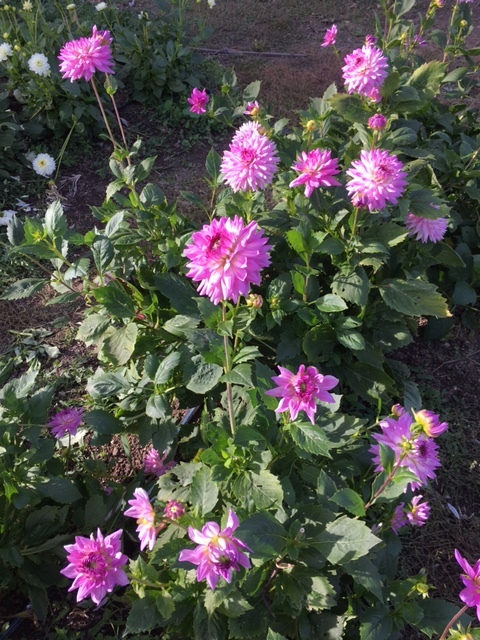 The Pescadero Flowery had an entire field of Dahlia's in every variety, shape and size. They had a charming barn shed where florists would arrange bouquets from your picked flowers. It was fairy tale / wedding worthy. Adam grew up in Denmark where gardening is a big part of the culture. I could have stayed and taken photos all day. Or laid in a field with my book and read. And a 'Make Your Own Succulent Garden" pot area. Brilliant! What's more beautiful then this?